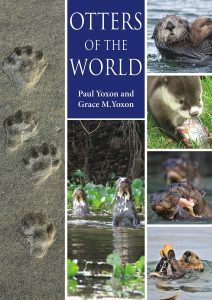 Otters of the World is written by Paul Yoxon and Grace Yoxon, who have worked on the conservation of otters worldwide, for over twenty years. The book begins by introducing the reader to general information about otters, before dedicating a chapter to each of the thirteen species of otter found worldwide. A summary information box is provided at the start of each chapter, comprising distribution, conservation status, and key facts for each species. 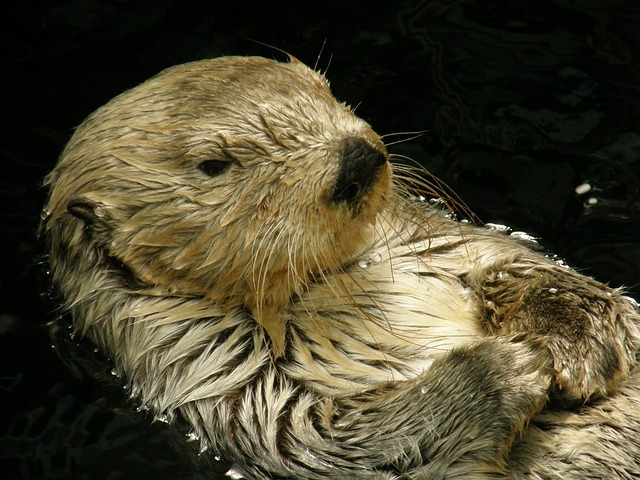 The chapter then goes on to discuss the otter in more detail and includes information such as identification features, habitat preferences, diet, adaptations, breeding activity, and other facts about the otter’s ecology. An important inclusion in each chapter is the information regarding current threats to the population status of each species and associated notes about what is being done to reverse / minimise the threats – this varies according to species and location in the world. Alongside the text are photographs of the otter, illustrating behaviour, habitat preferences and identification features. These really add to the book, bringing the animals to life and because many of the species are now endangered, these photographs are even more precious. The book is written in a conversational yet educational style, making it clear, concise and very readable; in fact, the author of this review found the book hard to put down! 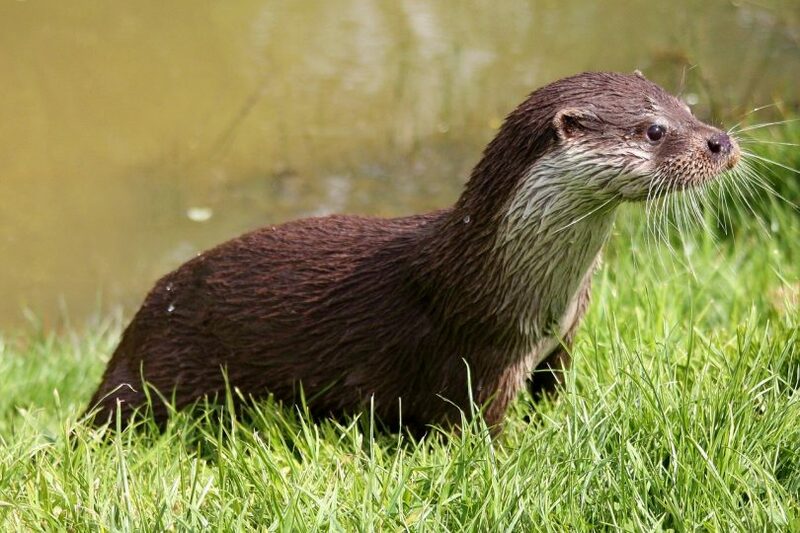 It definitely serves as an eye-opener to the bigger picture of otter conservation worldwide, which can often be overlooked by those that are solely focussed on conserving the species on their own doorstep. The final chapters of the book address rescue and rehabilitation, the otter’s role as environmental indicators, focus chapters on a couple of key threats to otter conservation (fisheries and the illegal fur trade), and the future for otter conservation. The authors of the book clearly have an in-depth knowledge of their subject, and pass on their passion to the reader through the narrative, making these animals personable, fascinating and utterly beguiling. A book that is likely to stay with you long after you have finished reading it and is likely to encourage you to find out more about these amazing animals. Proceeds from the sale of the book support the work of The International Otter Survival Fund (IOSF), which was set up in 1993. 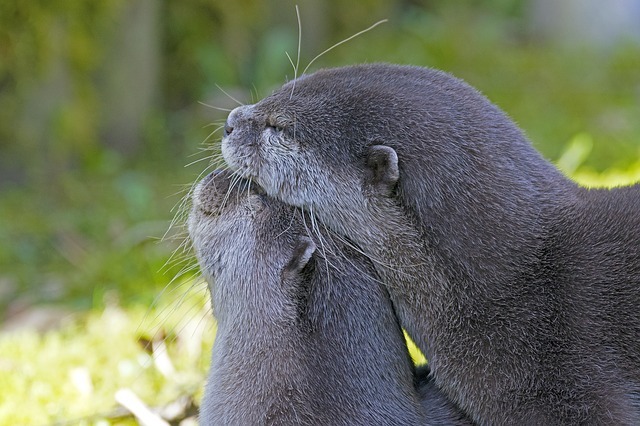 It’s purpose being to conserve otters globally by increasing awareness of otters and the benefits of these animals as indicator species of a healthy environment, supporting and undertaking research to aid otter conservation, and undertaking work with local communities around the world to protect and conserve otters. About the Authors: Grace Yoxon was presented with the IFAW Animal Action Award for Conservation in 2012; Paul Yoxon has worked on many TV and radio programmes including Wildlife on One, The One Show, Animal Hospital and Blue Peter. Book review written by Kate Priestman (CEnv, MCIEEM), Co-Founder of Inside Ecology. Kate has over sixteen years experience as an ecologist. Prior to setting up her own consultancy business in 2012, Kate worked in London for over a decade, providing the lead ecology role for a number of high profile projects. Kate works as an artist, author, writer and editor.